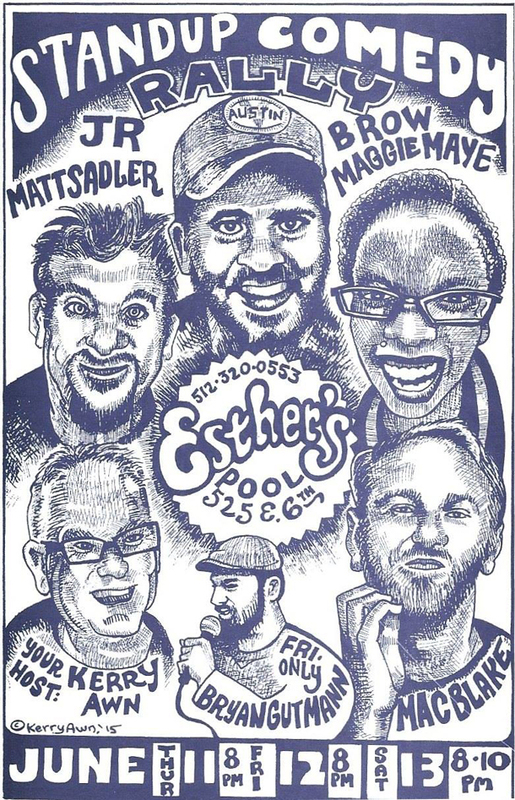 Ester’s Follies is all stand-up this weekend. I’ll be there this Thursday and Saturday. Kerry Awn hosts the wehole weekend. Besides being an accomplished comedian, Kerry is a legendary Austin poster artist and muralist (and painter and 9 other things probably). Getting my dumb face on a Kerry Awn poster is real honor for me. Also come see a show, yeah?